Researchers from the Department of Cell Biology, Physiology and Immunology and the Institute for Biotechnology and Biomedicine of the Universitat Autònoma de Barcelona (IBB-UAB) have unmasked the function of a protein involved in DNA repair, ATR, in the meiotic recombination process which takes place during the development of spermatocytes – sperm precursor cells– and how inhibiting this protein causes anomalies which block spermatogenesis. The study, led by Ignasi Roig and conducted using mouse models, was recently published in Nature Communications. 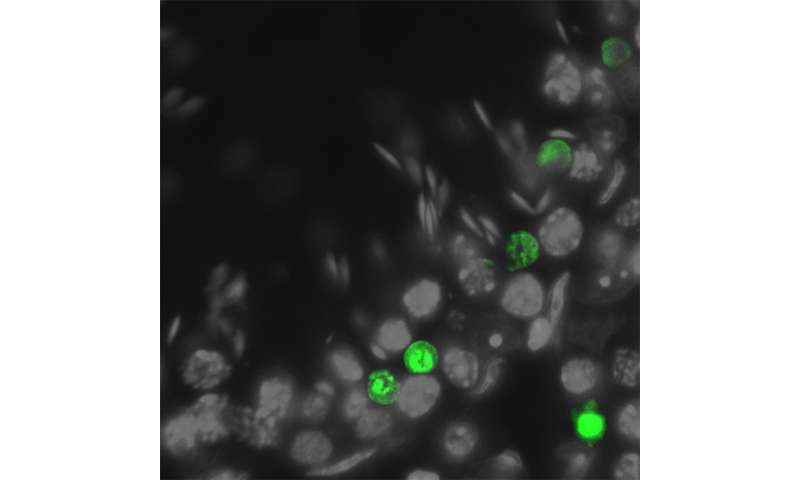 "Thanks to the use of mice with deficiencies in their ATR expression and drugs inhibiting this protein, we were able to demonstrate that the protein is essential for properly completing the meiotic recombination in spermatocytes acting in the very early stages," Ignasi Roig explains. Since the end of the 1990s, it has been known that ATR is found in spermatocytes, located alongside other proteins which participate in the meiotic recombination process. This led researchers to think the protein was also involved in the process. The fact that it is essential for the embryonic development of mammals has made it difficult until now to study it.